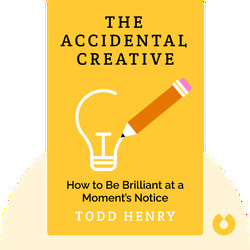 The Accidental Creative (2011) explains how you can unleash and manage your individual creativity. The book posits that everyone has the potential to be creative, though many lack the tools to act on this creativity. This book describes how to achieve maximum creativity and provides you with techniques to help you create consistently and effortlessly. 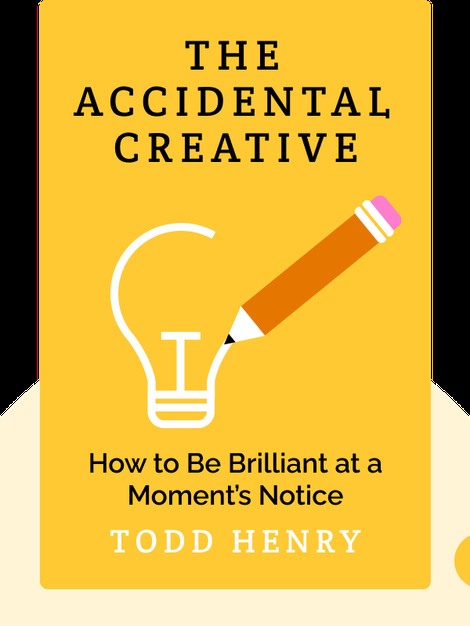 Todd Henry is an international speaker, coach and author, as well as the founder and CEO of Accidental Creative, a consultancy firm that promotes personal development and creativity. In 2006, he began The Accidental Creative, a highly successful business podcast, before publishing his ideas in book form.